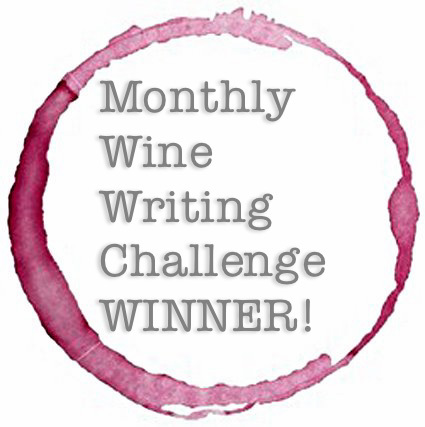 After our summer hiatus, Carpe Vinum (click on the link for more details) resumed last month. Halle-flipping-lujah! Our focus was Portuguese wines, and . . . WOW! As far as countries go, Portugal is no giant — it’s roughly the size of Indiana. And yet, it used to own half the world. Today, Portugal is one of the ten largest wine producing countries in the world. It has more vineyards in acerage than the USA, and some of the best QPR (quality to price ratio) wines I’ve ever tried. Portugal is small . . . but mighty. Portugal is going on my Wine Destinations Bucket List (yes, I have one of those). Who wouldn’t want to whittle away an afternoon sipping Vinho Verde right about here? 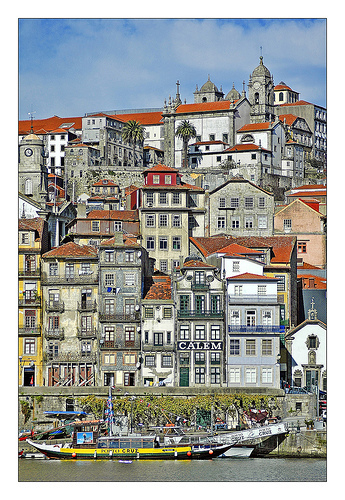 Portugal is primarily known for Port and Madeira, but the Portuguese wine cat is slowly creeping out of the bag. There’s more to Portugal than Port — Portuguese dry red and white wines are pretty fantastic. Until the late 1980s, the Portuguese wine industry toiled under government sponsored co-ops. The emphasis was on quantity, not quality wine. Today, vineyards have re-privatized, and estate-bottling and technological updates are on the rise. One of Portugal’s biggest wine assets is that it has over 200 native grape varieties — more than any other country in the world. If you’re working on your Wine Century Club application, host a Portuguese wine tasting party. You’ll be able to check off swaths of grape varieties in one evening! With gorgeous wines at insanely reasonable prices, Portugal is poised to be the next “it” wine region, and the darling of wine lists everywhere. So buy Portuguese wines now . . . while you can still get them on Blue Light Special. Alright. On to the wines we tasted . . . and the foods that loved them! The recipe titles are links to the recipes. I always forget about cutting apples to reveal their stars. So pretty! And with apple season in full swing, this salad is a great way to showcase your harvest. Mint and fennel are about the last two herbs I would have thrown together in the same bowl, but to my surprise, they complimented each other beautifully. The light balsamic citrus vinaigrette adds zip. Tasting Notes: Vinho Verde translates literally to Green Wine. And, BTW, Vinho Verde is a wine region, not a grape variety. This is a blend of 80% Loureiro and 20% Trajadura. 10% ABV — we learned this is typical of a Vinho Verde. Nose is clean and crisp. A dry wine with high (but not unpleasant) acid. Flavors of green apples and grapefruit, with a pear finish. Slightly effervescent. Summer in a bottle! And only $9!! Pairing Notes: Balsamic vinegar has ruined more than one bottle of wine. 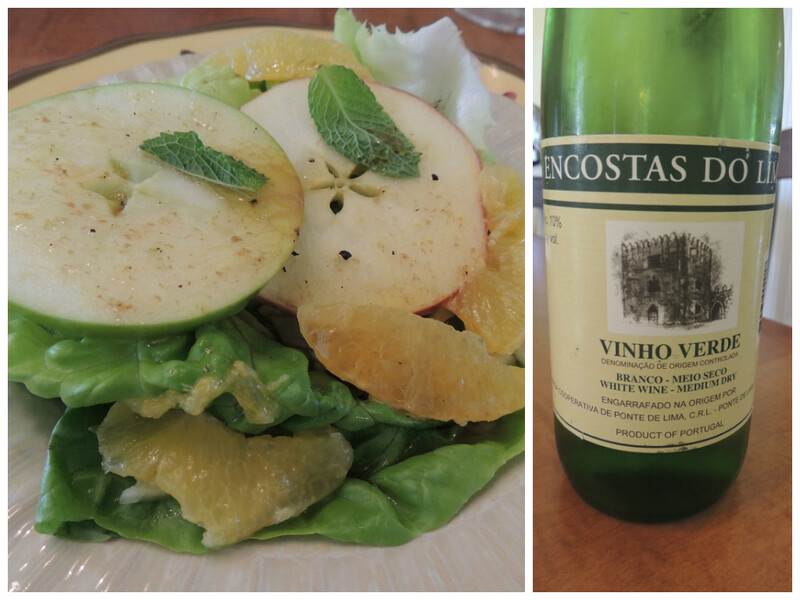 The light spritz and acidity of this wine were a great match for the salad. That said, I’d love to try the salad with a Riesling, for comparison. This is a recipe from the King of Tapas, Spanish chef José Andrés. I don’t think I’ve ever eaten a Taylor Bay scallop before, but they are delectable — so tiny and tender! I like them better than those big (and potentially chewy) sea scallops. The scallops are briny and sweet, and the Serrano ham adds a touch of saltiness. Mmmm. Tasting Notes: This is an Alvarinho from the Vinho Verde Region of Portugal. Cold maceration prior to fermentation. The nose reminds me of a Viognier — it’s floral and creamy. But here’s the departure . . . it’s also smoky. 13% ABV. Flavors of peach and vanilla, with an acidic grip. Explodes as it gets warmer. A very complex white. $25. 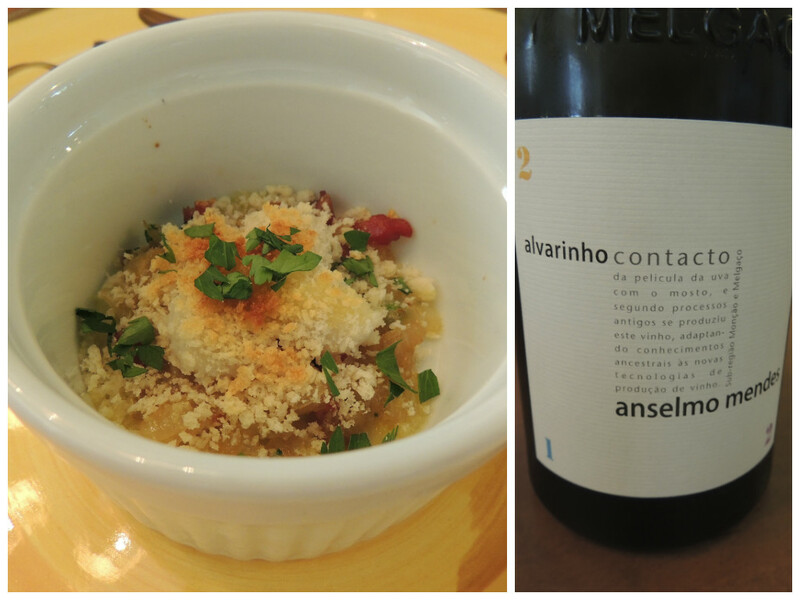 Pairing Notes: Alvarinho is a perfect partner for seafood. The brininess of the scallops and the saltiness of the Serrano ham balance out the acidity in the wine. Loved this one! Homemade fish sticks beat the tar out of boxed, frozen fish sticks. The “breading” in this recipe is made with saltine crackers — a perfect way to keep the coating crispy and light. And this homemade tartar sauce is the BEST! Would it be gauche to eat it with a spoon?? The whole battering and frying process is a bit of a PITA, but it’s worth it. Tasting Notes: A blend of Cerceal, Malavasia Fina, Gouveio and Moscatel. See? That’s 3 more grape varieties I got to check off my Wine Century Club application. I’m sooooo close!! Fermented in stainless steel. Dry and floral with a slight perfumey quality. Some canned peach notes on the finish. $10. Pairing Notes: Another tasty bargain! So perfect for seafood. Something about that stainless steel ferment that’s great with fish. 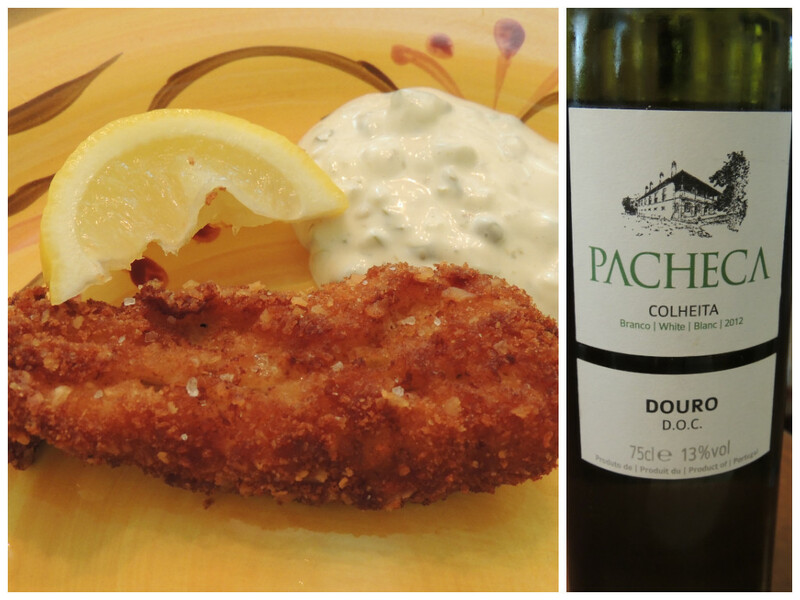 I tried the fish with the first wine (the Vinho Verde) — and I actually preferred it. There’s just something about that spritz that is perfect for the fried fish. This dish reminds me an awful lot of Chicken Marbella, which I make in continuous rotation through the fall and winter months. But instead of using prunes, you use figs. Some folks have texture issues with figs (my girlfriend says they’re like chewing sand), but that flavor — YUM! This is a tasty recipe, my only complaint is it doesn’t make nearly enough sauce. Tasting Notes: Someone on Cellar Tracker described this wine as “cheap and cheerful” — that pretty much sums it up. Gorgeous ruby red color. A blend of Tinta Roriz, Touriga Nacional and Alfrochiero Preto. Velvet mouth-feel. Dense, with flavors of plum, chocolate, and tobacco. I’d buy it again, for sure. $17. Pairing Notes: Chicken with Port . . . Port is from Portugal. Seems only natural to pair this with a Portuguese wine. 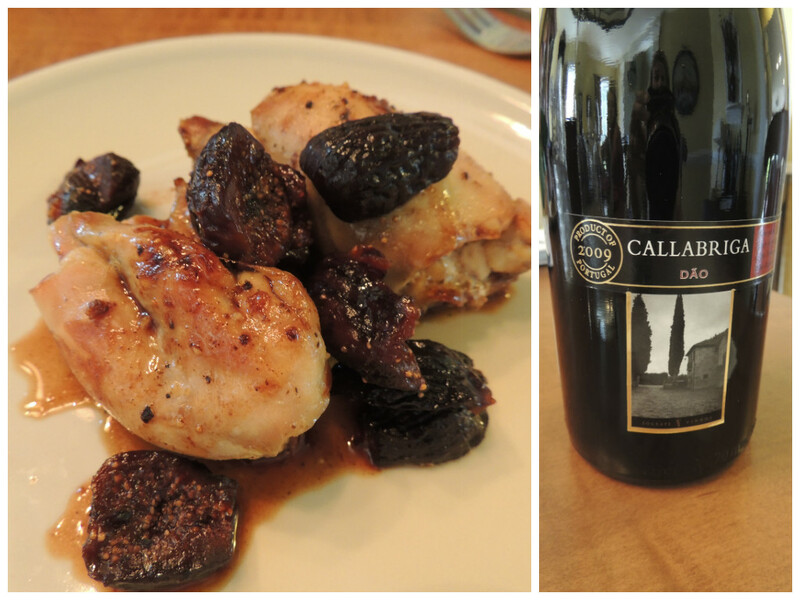 The softness of the wine was a great textural match to the chicken and figs — not too overwhelming. The chocolate notes played nicely with the figs. Not that anyone was still hungry, but we had a little dessert tray . 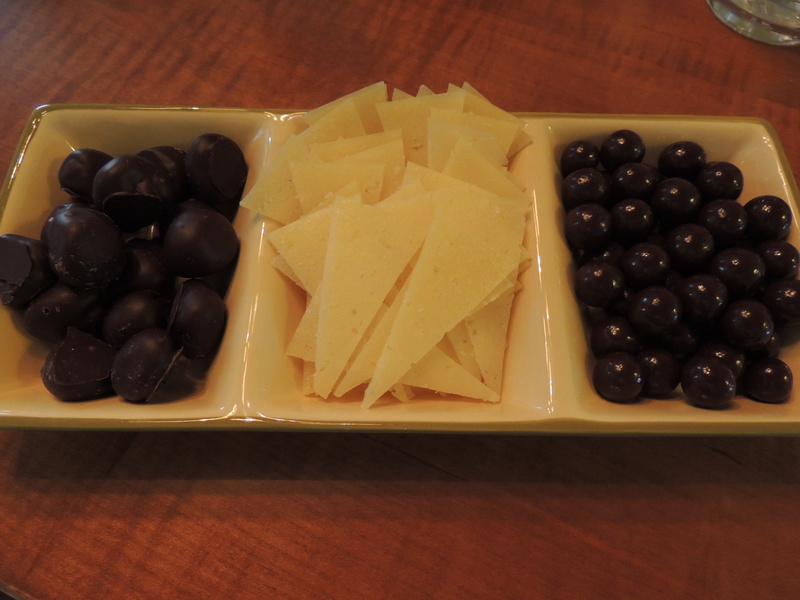 . . chocolate covered figs (from Wegmans), Manchego cheese, and chocolate covered salted caramel (from Trader Joe’s). If you buy the salted caramel from TJ’s, be prepared to sit down and finish the bag. They’re that good. Fonseca 20-Year Old Tawny Port: I love the balance between fruit and nuts in this Port. A little butterscotch in the mix, too. Yum! 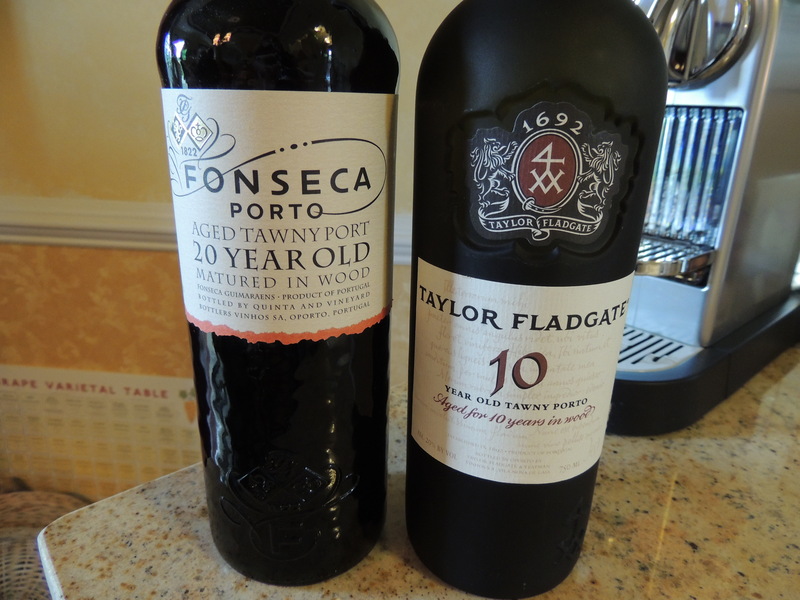 Taylor Fladgate 10-Year Old Tawny Port: I had long forgotten about this bottle in my cellar. For some reason, I wrote the date I bought it on the back of the label: 1998. So technically, this was 25 year old Tawny Port. And it was fabulous!! Loaded with raisin, fig and caramel flavors. The longer it sat out, the better it got. Even days later, it was lovely. Both were superb with the chocolate covered figs and Manchego cheese. Less so with the chocolate covered salted caramel, but we worked through it. I hope you enjoyed our trip to Portugal as much as we did. Previous Post: Ready, Set, Runza! 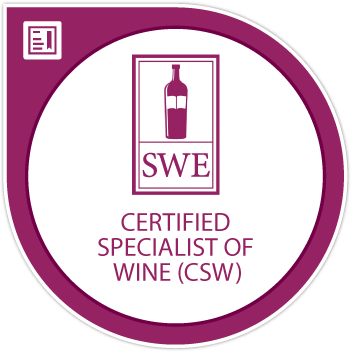 This is the second blog post I have seen recently on Portugal and it’s wine. I have some Portuguese wine on my list to try. It sounds amazing! Great post, learned a lot! Portuguese wine is getting a permanent stash in my cellar . . . let me know what you think! Salud!! Wow, I want to be a member of Carpe Vinum! Let me know the next time you’re in/around DC. You can be a guest! Salud!! Great post on Portugal! There are definitely great values coming out of Portugal. You stated that Portugal has more varietals than any where in the world. I believe Italy would take that honor with as many as a thousand or more varieties. Keep up the good work! Thanks for stopping by, Winston! I can’t seem to find the definitive answer . . . maybe Italy and Portugal will have to duke it out! 😉🍷 Salud!